Zendokai Karate is a type of sophisticated Multi-Martial Art based on Japanese Karate includes punching, kicking, grappling, throwing, and joint locking techniques while standing and fighting on the ground. 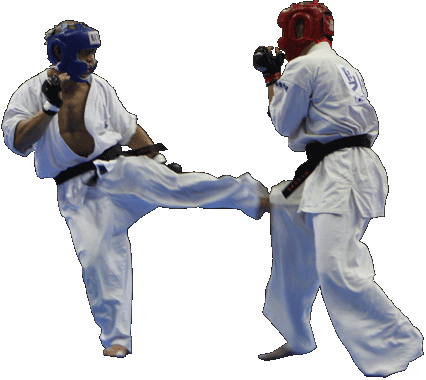 Despite training various techniques of physical fighting, the higher purpose of Zendokai Karate is to balance mind and body for maximize personal potentiality both inside and outside. This will finally lead to better ways of living the daily life. Zendokai Karate Association in Japan was founded in 1999 by a great Karate Master Mr. Takashi Ozawa. 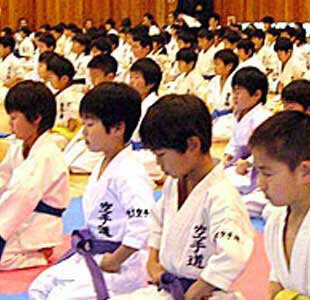 There are 110 Zendokai Karate schools all over Japan with more than 12,000 members. We conducted mane kinds of karate activities throughout the year both within the association and with others. 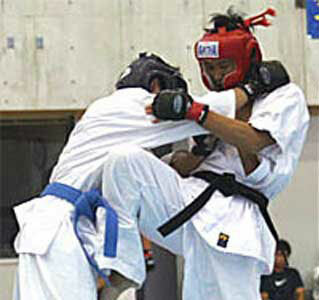 Zendokai members also join many professional fighting competitions such as PANCRASE, Shootboxing, ZST and Jewels. “Zen” is a school of Mahayanna Buddhism. This word “Zen” means “meditation”. The aim of Zen practice is to discover the true nature within each person through meditation and mindfulness of daily experience, which will provide new perspective and insights on existence, which finally lead to enlightenment. and “BUDO” = Japanese traditional martial arts and the spirit of Samurai. It is the core of Zendokai Karate. Zendokai believes that training in mind through meditation is as important as training body through karate practice. 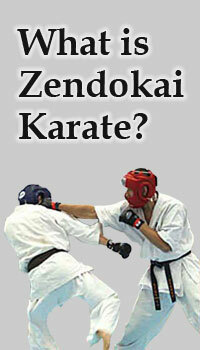 ZENDOKAI KARATE The Head Office (C)Zendokai, All Rights Reserved.